Hardcover (9 x 11 1/4), Beyond Words Publishing Co., August 1994, 2nd Printing of 2nd Edition. 148 pages. Beautifully presented book. Outstanding artwork and photography; detailed schematic of Whaling Brig Viola on endpapers; document facsimiles. Clean and tight LIKE NEW CONDITION with dustjacket showing mild wear and scratches, milk crinkle top and bottom spine. "Outstanding color photography. Reader experiences the considerable danger of hunting and harpooning the great whale. 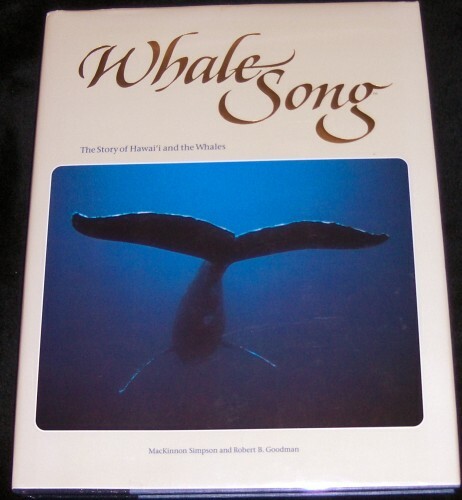 Includes fascinating history of early days of whaling with color drawings. Heavy bond paper. Glossary. Indexed. Very attractive book...."